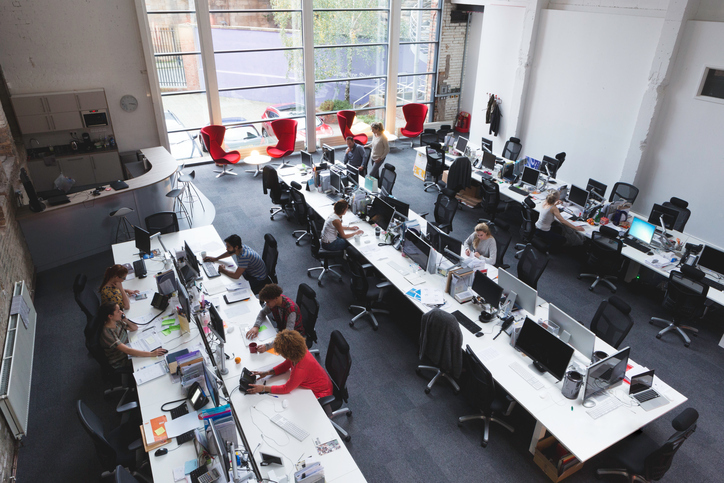 If you’ve started working in a completely open, partition-free workspace (aka “the new open plan” though it bears an eerie resemblance to 1920s offices), you’ve no doubt also begun to experience its pitfalls. I’ve put together a list of the top 10 complaints based on what I’ve learned from our clients over the years…that is, before they became clients. And, unsurprisingly, most issues relate to noise! Your workplace should provide you with speech privacy, comfort and freedom from distractions, but with acoustic treatments often ignored during design or chopped by the budgetary axe, you’re likely working in an environment that has you irritated, distracted and exhausted…or running for cover. Your conversations aren’t private. How much was your hydro bill? You can’t find anything to wear to the party on Saturday? You’re fighting with your spouse? You forgot your mother’s birthday? These are just some of the questions to which your coworkers now know the answers. You’re easily distracted. Coworkers typing and talking, the HVAC system cycling on and off, office equipment whirring and beeping, your neighbor tapping their pen, doors closing…and so on. With so much going on around you, it’s hard to think constructively and creatively. Every time you’re distracted, it takes up to 15 minutes to refocus. After eight hours (or more), you definitely don’t want another bite of acoustic stew. Collaboration isn’t always desired. Although open plans aim to encourage collaboration amongst co-workers, some of your most important tasks don’t involve anyone else. In fact, you spend over half your time on individual focus work. Finding a private space is a challenge. Need to make a sensitive phone call? Or have an in-person conversation that involves confidential information? Good luck finding an appropriate location. With so many people requesting a meeting room (or practically taking up permanent residence), your name gets pushed to the bottom of the list…or you don’t get in the door fast enough to book one in the morning. You get sick more often. Given the close quarters, it’s easier to catch colds and flu from coworkers. Or you’re absent because you simply need a day away from the ruckus. Your home or headphones are your refuge. You believe working from home or finding the right playlist are the only ways to reduce distractions. You actually crave a cubicle to call your own. Providing the panels are high enough, not only will it offer you much-needed visual privacy, no acoustic strategy can beat blocking when it comes to controlling noise over very short distances. What if you could work in your regular workspace relatively uninterrupted? Learn more about sound masking. Why Aren’t Your Noise Control Solutions Working? Are Your Noise Control Solutions (Not) Working? What Kind of Noise Annoys an Interferometer? Can I Spot Treat with Sound Masking?